In this Feb. 27, 2017 file photo, Del. Mike Pushkin speaks on the House floor. Pushkin and other House Dems are calling for leadership to consider recreational marijuana as a new revenue stream for the state. Taking a quick glance at Gov. Jim Justice’s legislative agenda, many onlookers are wondering how the budget will shape up by the end of session. With proposals for new spending and rollbacks on taxes currently yielding high-dollar price-tags, getting to a balanced budget remains unknown. But politics are a part of policy making -- and everything becomes a negotiation. With a fix to the state’s medical marijuana program also on the table, some House Democrats may try to use a proposed tax repeal as a bargaining chip to go for full-on legalization for adult recreational use. West Virginia’s medical marijuana program is set to kick off on July 1 -- but technical flaws in state code dealing with banking and other issues stand in the way. A measure that would have ironed out those details died on the final night of session last year. Then-House Speaker Tim Armstead failed to take up the bill after it passed in the Senate. A lot of banks won’t handle the money that medical marijuana businesses bring in because the drug is illegal on the federal level. Attorney General Patrick Morrisey issued an opinion Friday that said while Congress hasn’t allocated funding for law enforcement to target medical marijuana businesses, that’s not guaranteed into the future. Morrisey wrote that while states "cannot fully mitigate the risk" for banks and other financial institutions, they "can help lessen the concerns" by helping whomever is handling the money comply with currently existing federal protections. Since the original law was put in place back in 2017, lawmakers and the state Treasurer’s office have been pushing for a cleanup of the state’s medical marijuana program. Del. Mike Pushkin is one of those lawmakers. “It is my proposal that we open up the bidding process to include credit unions, as well as banks and other financial institutions to act as a depository for state funds. So the potential businesses that are going to be coming to the state could apply for those licenses, and that application fee to go to also go to a credit union or bank,” Pushkin said of options to fix the banking issues. But Pushkin argues the Legislature shouldn’t stop with legalizing marijuana for medical use. 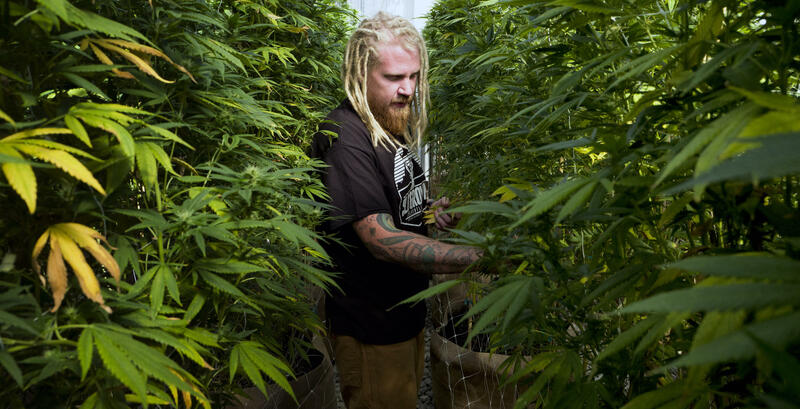 In this Sept. 11, 2018, file photo Steve Fagan, grower and collective owner of SLOgrown Genetics, attends to his organically cultivated cannabis at his farm in the coastal mountain range of San Luis Obispo, Calif.
A 2016 report from the West Virginia Center on Budget and Policy shows that if marijuana was legalized for adult recreational use and taxed at a rate of 25 percent, the state could collect an estimated $45 million annually upon full implementation. That same report said that if 10 percent of marijuana users who live within a 200-mile radius of West Virginia came here to purchase marijuana, and were taxed at that same rate of 25 percent, an estimated $194 million could be brought in each year. Del. Shawn Fluharty is another Democrat who has been publicly supportive of recreational marijuana. With West Virginia declining in population and states with recreational marijuana seeing increases, Fluharty sees recreational legalization as a means to stop outward migration and potentially grow the state’s tax base. “We have other neighboring states say and they're going to enter the market. The governor of Pennsylvania said they're about ready to move forward with that legislation. So our neighbors are already out-competing us. We're a state that could have a regional monopoly on this,” Fluharty said. Gov. Justice and Republican leaders in both chambers have made repealing the business inventory tax a top priority -- but the timeframe and to what effect is unknown. There’s talk of a phase-out over the course of years and the loss of revenue depends on whether the repeal would apply to manufacturing equipment or all other types of businesses. To get the measure passed, they’ll need Democrats on board to secure a two-thirds majority in both chambers -- and then it’s still left in the hands of the general public to vote to amend the state constitution. The real hangup is finding an alternative funding mechanism for public education, which receives its funding from the business inventory tax. Democrats in the House of Delegates say there’s already a model for that. In their 2017-2018 budget year, Colorado directed more than $90 million of tax revenue from its marijuana sales toward its Department of Education. With that in mind, Fluharty sees recreational marijuana as a bargaining chip for Democrats to get fully on board with the inventory tax repeal -- especially given new spending proposals from the governor. “I think there's a potential for that -- because, when we start crunching the numbers, we're going to realize we're not going to get to the finish line that they want to get to without a new revenue stream like adult use cannabis.” Fluharty said. House Finance Chair Eric Householder is less enthusiastic about the prospects for recreational. He’s also keeping in mind where West Virginia currently stands on the medical program. With state law prohibiting taxes on prescription medication, the state stands -- at best -- to more or less break even on the medical marijuana program. “I don't think we're quite there yet on the recreational marijuana within the Republican caucus. But like I said, I get inundated with emails from people in the state wanting me to support adult cannabis use,” Householder said. Householder indicates he’d like to see the medical program up and running first to offset costs already incurred by the state. “The medicinal marijuana — I did support back when we passed it. And keep in mind, I am a little concerned. We have $2.4 million this year alone in the budget for a medical marijuana office -- medicinal marijuana office. And last year, we did a $600,000 supplemental so we're at almost $3 million into this and we haven't made one red nickel yet,” he said. House Democrats see potential revenue from adult recreational legalization as a way to fill at least a portion of potential gap in public education funding that would be caused by the proposed rollback on the personal property business inventory taxes. But Householder said he would have different plans for any revenue brought in by recreational marijuana sales -- in line with his ideas for other so-called “sin” taxes. “I would have a different path for that revenue. One of the decisions -- or one of the ideas -- that I had this year is any revenue from gaming or gambling bills that are ran -- I'd like to drive that revenue to a personal income tax reduction fund. I would do the same with any of the recreational marijuana [revenue], if it ever passes,” he said. Over in the Senate, top Republicans like President Mitch Carmichael have come out in opposition to legalization for recreational use. But they do support a fix to the state’s medical program. New Senate Majority Leader Tom Takubo is a pulmonologist in Kanawha County. He’s focused on not only the banking issue -- but also tweaks to the medicinal program that would benefit patients. Takubo said he’d like to implement recommendations from an advisory board established through the state Department of Health and Human Resources that’s been tasked with overseeing the medical marijuana program. In this Feb. 9, 2017 file photo, Sen. Tom Takubo listens to a speaker during a meeting of the Senate Committee on Government Organization. As a physician, Takubo says he is consider changes to the state's medical marijuana program beyond cleanups to the law's financial hangups. As a physician treating patients with best practices based on published science, Takubo points out that marijuana federal status as a Schedule I substance limits government-backed research on the subject. So far, 10 states and the District of Columbia have legalized the drug for recreational use. While many critics say that public sentiment is outpacing research on marijuana’s effects, even Republicans say that West Virginia’s day for recreational is inevitable. House Finance Chair Eric Householder said he’s willing to discuss the issue — but also points to some potential roadblocks in the short term. “Absolutely, I am open. But, we also heard the governor state during the State of the State that he was opposed to recreational marijuana. It is a touchy situation. I know, sooner or later, it's coming. When? I can't predict it. Obviously, if I had a crystal ball, I would tell you when that date is,” Householder said. 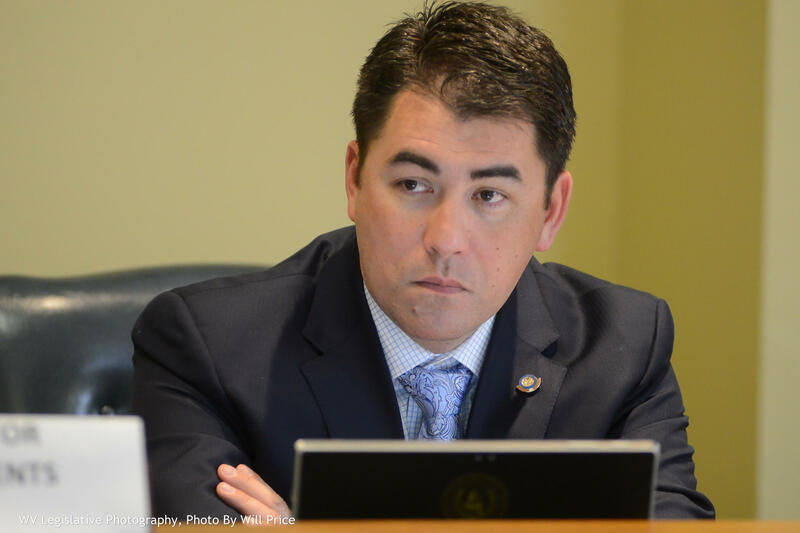 With Attorney General Patrick Morrisey issuing an opinion last week on the federal banking issues, lawmakers and the Treasurer’s office seem poised to find a path forward for West Virginia’s medical marijuana program. But the potential for legislation dealing with adult recreational remains questionable. Whether it’s this session, or in 2020 during an election year, when campaigning will be a big factor, moving policy beyond medical and to recreational marijuana will almost certainly depend on political bargaining.